For over 125 years John Tenniel's superb illustrations for Alice's Adventures in Wonderland have been the perfect complement to Lewis Carroll's timeless story. This edition is a wonderful high-quality version, the first to reproduce Tenniel's exquisite drawings from prints taken directly from the original wood engravings. Here, Tenniel's fine line work is far crisper, delicate shadings are reproduced with more subtlety, and details never seen before are now visible. This is a deluxe gift edition with clearer, more detailed images than have ever been seen before. 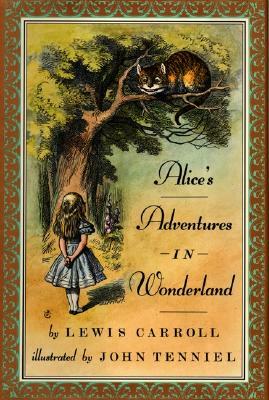 At last, readers can see the Alice that Carroll and Tenniel had originally envisioned. When Alice follows the White Rabbit down his rabbit hole she embarks on the adventure of a lifetime. As she travels through Wonderland Alice learns that in the magical land of the Cheshire Cat, the Mad Hatter, and the Queen of Hearts, nothing is as it first appears. Sir John Tenniel briefly attended the Royal Academy Schools, but for the most part he was a self taught artist. His illustrations appeared regularly in Punch, but it was the Alice books that confirmed his international reputation as an illustrator. Tenniel was knighted in 1893.